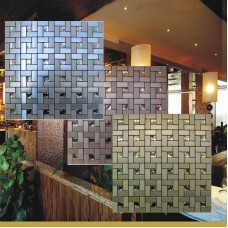 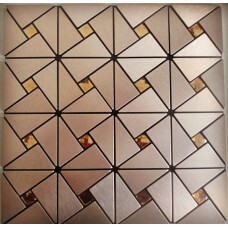 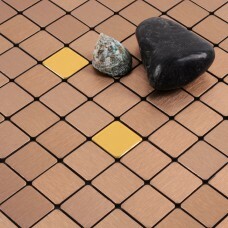 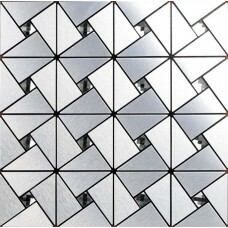 The alucobond tiles are a kind of " easy tile ". 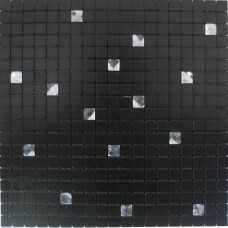 It is very easy for installing by removing the backing and paste the tile on wall. 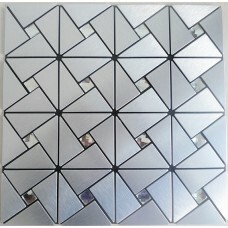 The tile is made of aluminum with glue on back. 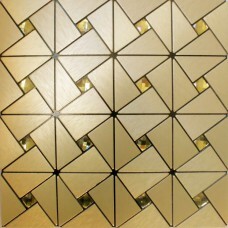 It is a kind of strong glue which will firmly fix the tile on the wall. 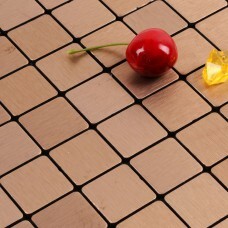 There's no need to use grout at all. 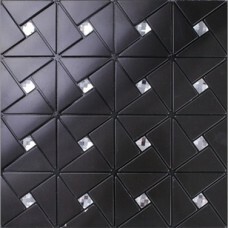 These tiles not only have common colors like black, silver but also some colorful colors like red, blue, green, brown and yellow. 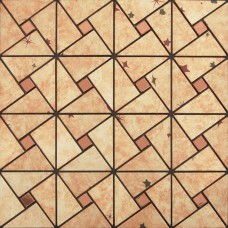 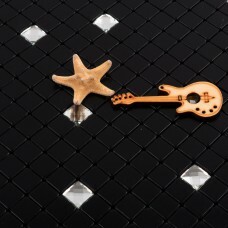 Because it is easy to use, the tile has other names like wall stickers, self adhesive tile.